With the advent of the era of 3Gnetwork, the application of Internet of things permeates every corner of the industrial production and people’s daily life. Sensor design and production are moving in the direction of integration, miniaturization, intelligent, and wireless communication network with the support of information transmission and processing technology has made a breakthrough progress. Its application prospect is very broad. In industrial and agricultural production monitoring, urban traffic management, biomedical technology, field environment monitoring, logistics management, intelligent home appliances and other fields, it has important scientific and application value. In this article, through in-depth study and comparison of existing algorithm, we find out that water environment monitoring cloud is the next step development trend of water environment monitoring. The idea has been put forward for the first time both at home and abroad. At home it is regarded very seriously, and it is suitable for the different waters in our country. Akyildiz, I.F., Pompili, D. and Melodia, T. (2006) State of the art in protocol research for under water acoustic sensor networks. Proceedings of the 1st ACM International Workshop on Under- water Networks, New York: ACM, 7-16. Rice, J. and Green, D. (2008) Under water acoustic communica- tions and networks for the US Navy’s Sea web program. Pro- ceedings of the 2nd International Conference on Sensor Tech- nologies and Applications, Piscataway: IEEE, 715-722. Vasilescu, I., Kotay, K., Rus, D., et al. (2005) Data collection, storage, and retrieval with an under water sensor network. Pro- ceedings of the ACM Sensor Systems 05, New York: ACM, 154- 165. Ingelrest, F. and Barrenetxea, G. (2010) Sensor scope: Applica- tion-specific sensor network for environmental monitoring. ACM Transactions on Sensor Networks, 4, 397-408. Wills, J., Ye, W. and Heidemann, J. (2006) Low power acoustic modem for dense under water sensor networks. Proceedings of the 1st ACM International Workshop on Underwater Networks, New York: ACM, 79-85. 封松林, 叶甜春 (2010) 物联网/传感网发展之路初探. 中国科学院院刊, 1, 50-54. Zhu, X.R., Shen, L.F. and Yum, T.-S. (2007) Hausdorff clus- tering and minimum energy routing for wireless sensor networks. IEEE 18th International Symposium on Personal, Indoor and Mobile Radio Communications, 58, 548-555. 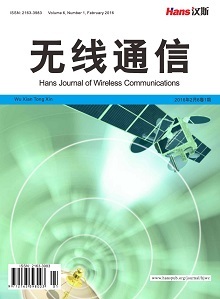 Liu, L.F. and Jin, S. (2008) A clustering control algorithm of wireless sensor networks in low probability event scenario. Journal of Computer Research and Development, 45, 1662- 1669. Dikaiakos, M.D., Katsaros, D., Mehra, P., et a1. (2009) Cloud computing: Distributed internet computing for IT and scientific research. IEEE Internet Computing Magazine, 13, 10-13. Dean, J. and Ghemawat, S. (2010) MapReduce: A flexible data processing tool. Communications of the ACM, 53, 72-77. 水利部水文司环境资源处 (1998) 水环境监测是管理水资源保护水环境的基础和手段. 水利技术日监督, 2, 15-22. 孙扬, 李永峰, 韩博 (2008) 水污染生物监测现状. 上海工程技术大学学, 2, 152-155. 程英, 吕琳, 雒彦军 (2001) 应用水生生物监测水污染. 黑龙江环境通报, 1, 79-80. 李江平, 李雯 (2001) 指示生物及其在环境保护中的应用. 云南环境科学, 1, 51-54. 李慧蓉 (2002) 生物监测技术及其研究进展. 江苏石油化工学院学报, 2, 57-60.